This Leyland was exported to Uruguay in 1951 for use on tourist traffic. It was destined to remain a one off. 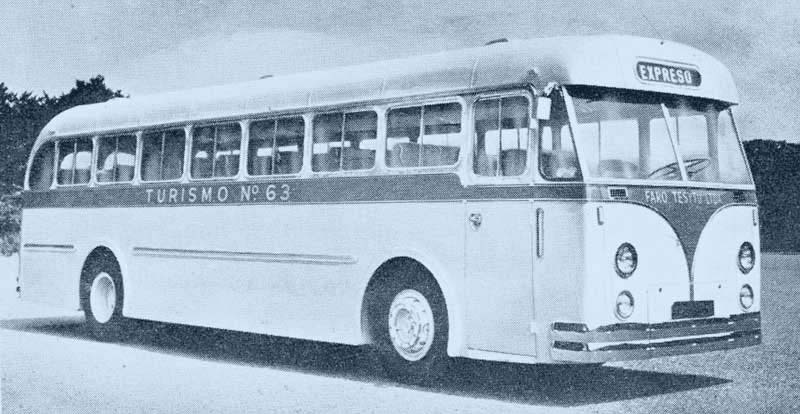 Due to construction regulation restrictions it was never certified for ordinary bus use and was only ever used for excursions until the 1970s. It was then sold and used as a school bus in Montevideo. The front end has been altered with shallower and slightly less elegant fixed windscreens. Fibreglass units containing twin headlamps and flashing indicators (possibly from a scrap coach) have been grafted on to replace all the original lights. It was withdrawn in 2004, but still exists, laid up in the last operators yard. It is unique in Uruguay - or anywhere - but whether it will attract attention from enthusiasts in that country to ensure its continued existence only time will tell. At the moment I do not have a current photograph I am able to publish. The image above is from 1951.